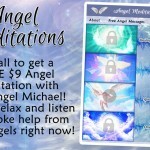 Your angels are on hand to support you now in transforming past habits, and cleansing your body, mind, spirit and emotions of clutter and all that no longer serves you. 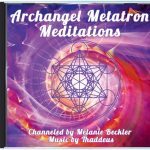 Relax and listen to this CD of angel meditations to open to your inner spring, and to the infinite well of light, love, and awareness available to you right now. 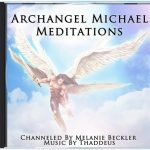 Each of the four messages on the CD are set to the beautiful meditative music from Thaddeus for an incredibly peaceful and uplifting listening experience. 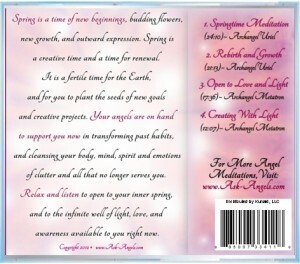 After listening you will feel cleansed and refreshed from connecting with the Angelic Realms, and with the powerful energies of Spring!